TransylvanianDutch: Is Hillary Duff the Closest US Celeb to the Queen? Is Hillary Duff the Closest US Celeb to the Queen? Hillary Duff is the closest US celebrity relative to the Queen. They share Edward III, the Queen's 18th great grandfather, as a common relative. AZCentral and USA Today are two examples. Both cite a study by FindMyPast. I have a serious problem with this, because I have a difficult time imagining that every single US celebrity's genealogy was traced. But for that claim to be legitimately made, that's what would have had to be done. There are thousands of celebrities. 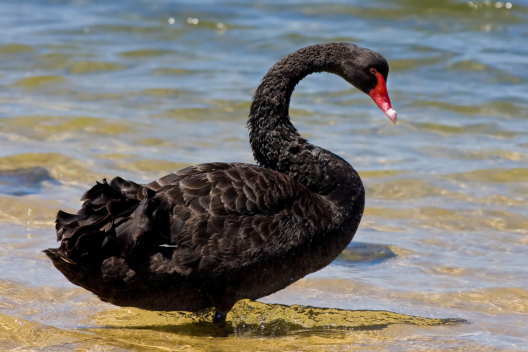 It's a perfect example of the Black Swan Fallacy. Out of all the celebrity genealogies studied, Hillary Duff was most closely related, therefore she is the closest celebrity related to the queen. That is the logic being used, even though it doesn't sound as newsworthy reported in that manner. How many genealogies were studied? That is information I have not been able to find in any news source. (FindMyPast doesn't appear to have this in their list of press releases on their website.) There is a list of 20 'royal' celebrities mentioned, which means at least 20 were studied. But it could be any number equal to or greater than 20. I thought to myself: Wouldn't it be funny if I could find a black swan? Could I find a celebrity that the study missed? I didn't know how easy it would be, because it seems the study missed an entire category of US Celebrities. Political Celebrities. Franklin D. Roosevelt traced his ancestry back to James II of Scotland (The Queen's 14th great grandfather) and Truman to Robert III of Scotland (The Queen's 16th great grandfather) - unfortunately, none of their living descendants quite approach the name recognition for celebrity status. Truman's daughter Margaret probably came the closest, though she passed away in 2008.